Update, February 2: PUBG Corp have detailed a bit of how next week’s new anti-cheat measures will work. A new set of anti-cheat measures are coming to PlayerUnknown’s Battlegrounds next week, and are currently getting a trial run on the test servers. We knew the update was coming from official channels – which also let us know that tools like ReShade would be disabled as part of the new measures – and today PUBG Corp have provided a bit more detail on the update. Have a look at all the best PC games of 2017. This is an early version of a new, internally developed anti-cheat solution, which will work alongside the systems already in place. The current focus is on blocking unauthorized programs, but the scope will broaden as development continues. Upgrades are also in store for the in-game report function, with promises that they’ll soon be able to handle those reports more quickly and accurately. The developers also warn that tampering with game files may get you blocked. Original story, January 31:Cheating in PlayerUnknown’s Battlegrounds is a significant problem that’s been especially difficult to avoid with the game’s explosive success since the last few months of 2017.PUBG cheaters are getting bannedleft and right, but there’s been little way to eliminate the waves of players taking shortcuts to get those sweet chicken dinners. A new anti-cheat measure takes aim at third-party tools, but it appears the update will also take down some visual modifiers that were previously allowed. 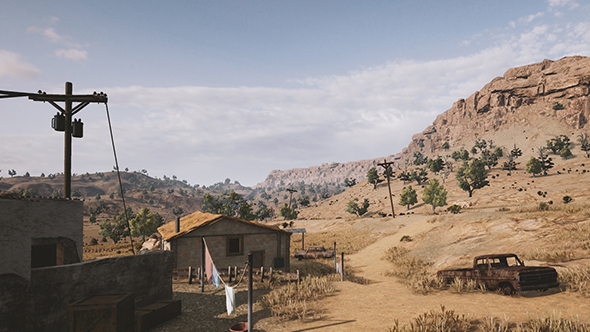 That includes ReShade, a popular post-processing tool, has been used in PUBG since the early access days. PlayerUnknown himself said there was no issue with using the program, and that’s been backed up by other official notices as recently as last week. However, a new anti-cheat system is in development that specifically targets third-party programs which “modify the gameplay or visuals in an invasive way.” ReShade has been confirmed as one of the tools affected. ReShade isn’t itself a cheating tool, though players have been considered that specifically designed shaders – say, a mod that turns enemy helmets neon pink so they can be spotted a mile a way – could provide an unfair advantage. Regardless, the tool does make modifications to the game itself, which makes it a target of the new update. That update is to be applied on test servers to check out stability before moving to the live game, at which point ReShade and tools like it will be blocked. It seems unlikely players will face bans if ReShade is installed, considering the use of the term “blocked” and the fact the program has been unofficially supported for so long, but you may want to preemptively drop it before that update goes live.